Outers is a leading manufacturer of gun-care chemicals and solvents. Vern Dale founded the company in 1934 with his innovative Gunslick lubricant, which has grown into its own, high-technology cleaning brand today. 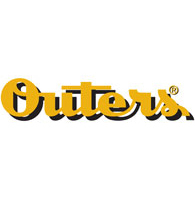 Outers remains a gun cleaning mainstay and is part of Vista Outdoor. For more information on Outers, visit www.outers-guncare.com.